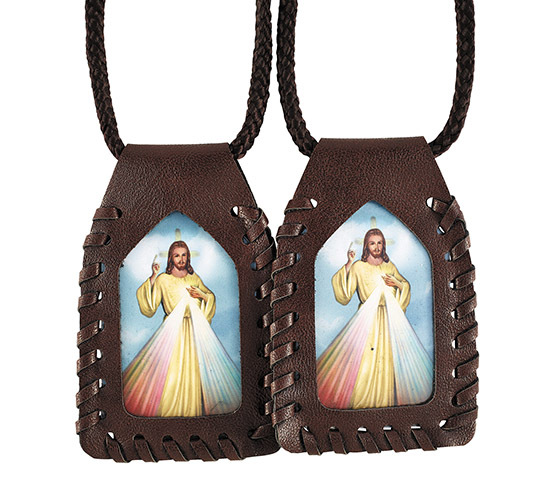 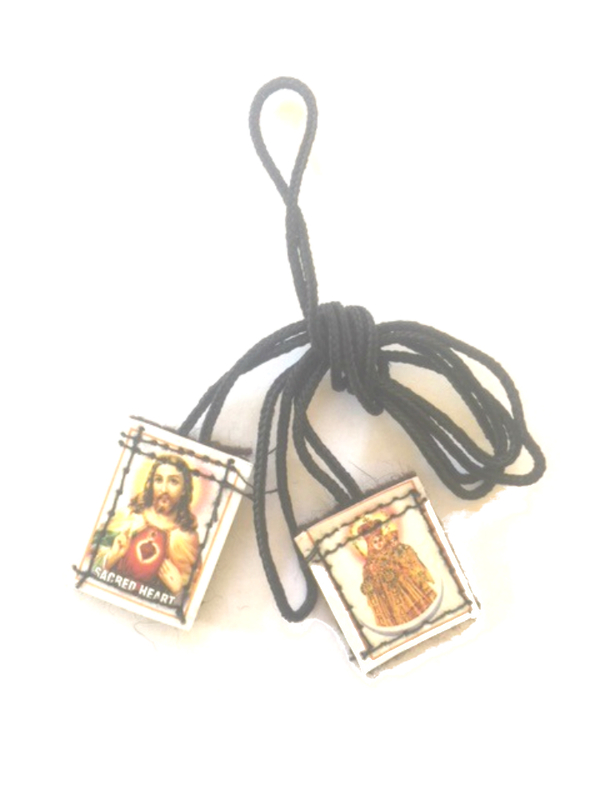 Handmade red and white scapular on dark cord. 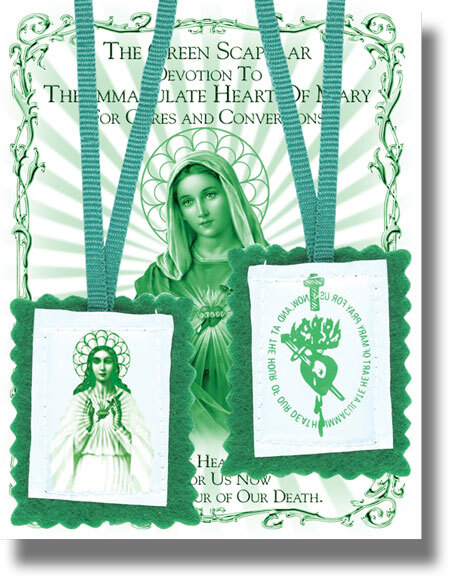 Includes Our Lady of Mt. 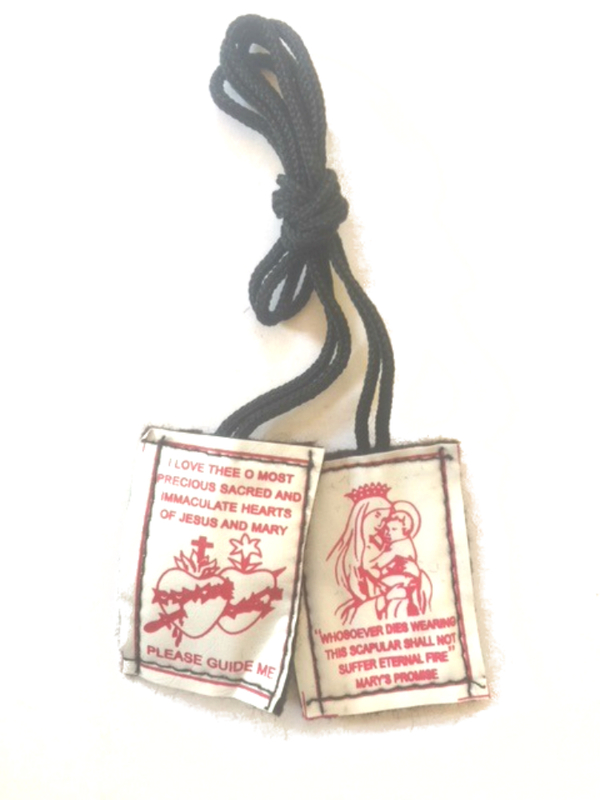 Carmel (brown scapular) panel.